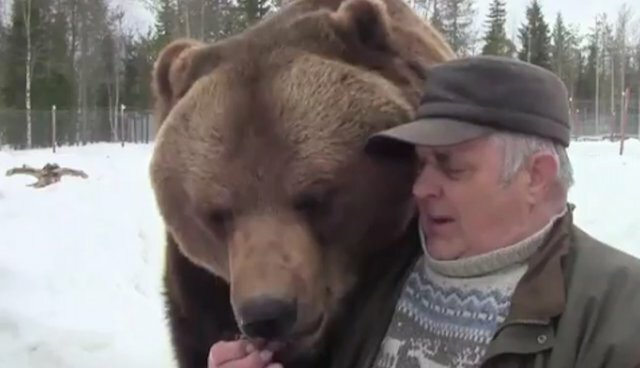 Sulo Karjalainen is a 73-year-old Finland native who runs the Kuusamo Large Carnivore Centre with his brother, where the two raise orphaned brown bears. It all began when Sulo worked on a research project about Finnish carnivores and was asked to take in several orphaned cubs. Over the years, the center became home to over 20 orphaned cubs. Sulo told Barcroft TV that he has lived on this same farm his whole life, and has no plans to retire. 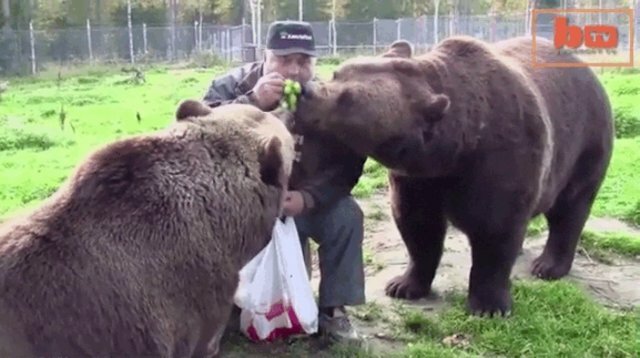 Sulo takes part in snack-time with the bears. 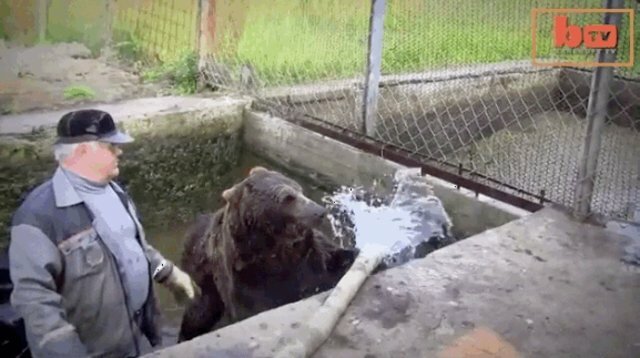 Just because you're a bear doesn't mean you have to be stinky! 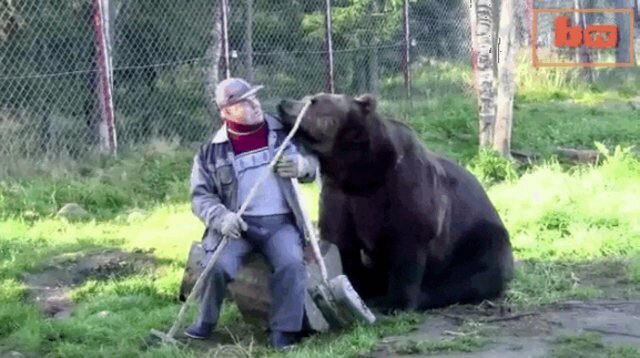 Sulo's bears love him so much they try to smooch him... with a little too much tongue. You can follow Barcroft Media on Facebook, Twitter, and Instagram.